Microsoft Excel 2013 is such a versatile program that it can effectively be used for a number of purposes. So while one user might not consider changing something like the direction in which a worksheet is oriented, a different user might find that to be something that would be beneficial. 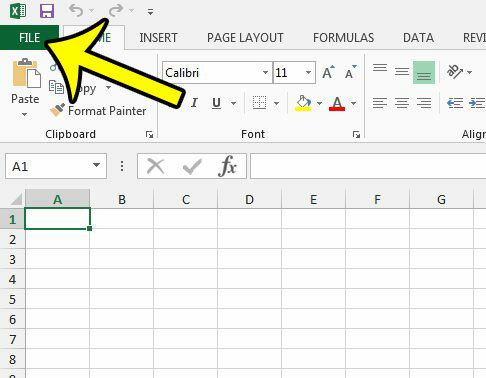 If you fall into that second group of Excel users and would like to change your Excel spreadsheet so that the column lettering starts at the right side of the sheet, then our guide below will show you where to find and change that setting. 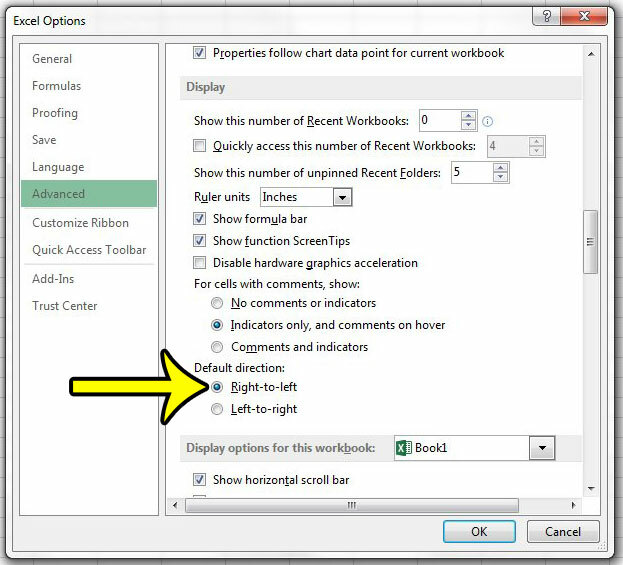 The steps below will change the default settings in Excel 2013 so that the spreadsheet is configured from right to left, instead of from left to right. This will put the “A” column at the right side of the spreadsheet, which is also where your cursor will start. 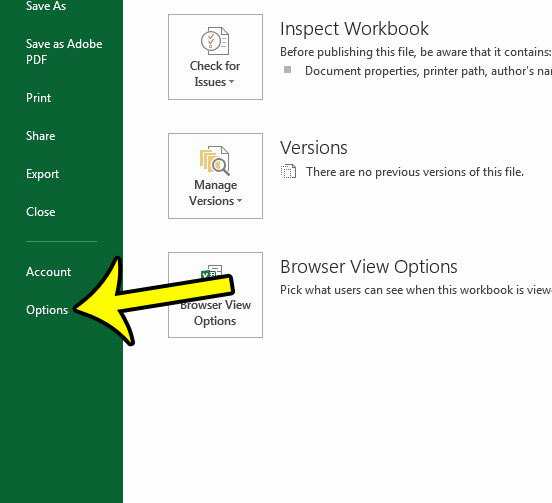 These changes only apply to new workbooks that you create in Excel after making this change. Previous workbooks will be unaffected. Step 2: Click Options in the left column. Step 4: Scroll down to the Display section, then click the circle to the left of Right-to-left under Default direction. You can then click the OK button at the bottom of the window. 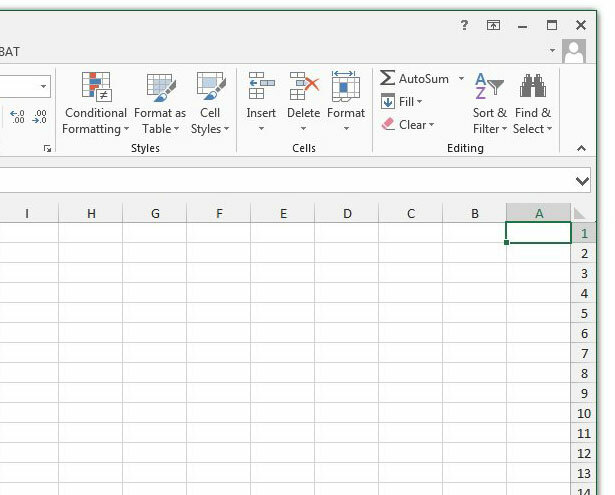 Note that deleting a user template may result in significant changes to your Excel experience if you have made a lot of customizations to that template. If you are unsure about whether or not you should delete a template, consult your system administrator. 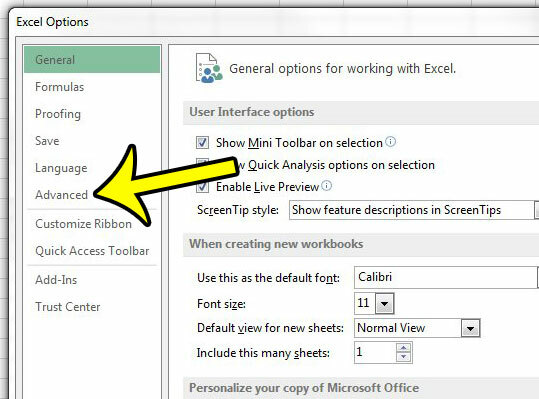 If you often print your spreadsheets, then read this article about printing a document title at the top of every page. It’s a helpful thing to add to your spreadsheets that makes them easier to identify later on.